Some bad news for fans of American Idol. After all the rumors and speculation, TVLine reports NBC will not be rebooting the series in the near future. According to TVLine, plans for an American Idol revival have fallen apart because of a dispute between the show’s producer, Fremantle Media and Core Media Group. Back in February. the two reached an agreement in court to re-launch the American Idol brand. However, it seems Core was worried about putting the series on the same network as America’s Got Talent, which is also produced by Fremantle. 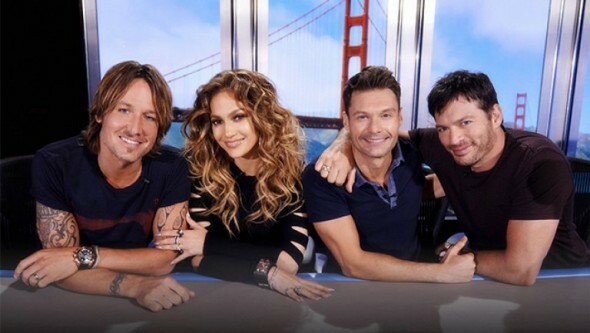 Now, it seems an American Idol reboot won’t be happening anytime soon. What do you think? Are you a fan of American Idol? Do you think there should be a reboot at all? I think it should come back on. I really enjoy American idol!! Was very disappointed when they said it was ending. Thank goodness. American Idol had its moment in the sun but that ship has sailed. They were wise to cancel it when they did. Good it doesn’t need to come back, get rid of all reality crap. How many different symptoms are there for the word ‘Good’? I was so excited that there were talks going on about the show. It was such a great and enjoyable show. Look at all the fabulous people that really moved forward. Carrie Underwood? What more can you ask for. . Please have another station consider the fabulous show.